Chinese watercolour paintings hand painted with colourful traditional oriental themes. Sold unframed, the watercolour paintings come to us directly from the street artists of Hangzhou. 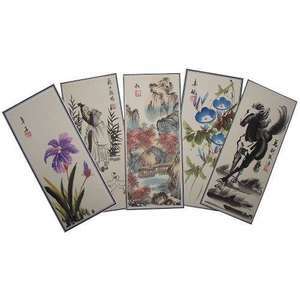 Hand painted onto rice paper in a simple traditional style, this attractive oriental artwork is mounted onto thin plain card ready for framing.